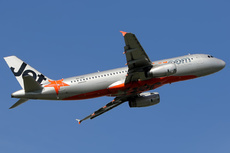 On 28 October 2017, at about 08:00 hours local time (27 October, 1900 UTC) Jetstar Airways flight JQ202, an Airbus A320 aircraft, was being prepared for a scheduled passenger service from Auckland International Airport, New Zealand to Sydney, Australia. The captain was designated as the pilot flying and the first officer was the pilot monitoring. At about 08:09, the leading hand had finished loading the last container into the aircraft hold and was organising his paperwork. As it was raining, he decided to put the clipboard in the right engine (No. 2) cowling to stop his paperwork from becoming wet and blown by the wind, with the intention to retrieve it later. The leading hand went to the flight deck, gave some paperwork to the flight crew, and returned to the ground to organise the aircraft’s push back. At about 08:19, the dispatcher cleared the ground and servicing equipment from the aircraft and conducted the ‘duty of care’ walk-around. During the walk-around, she noticed the clipboard in the right engine and thought that the leading hand would return for it, so she continued with the walk-around. Soon after, the engines reportedly started normally. At about 08:25, when the aircraft was taxiing, the leading hand realised his clipboard with the paperwork was missing and thought the dispatcher had the paperwork. The leading hand asked the dispatcher about the clipboard and she mentioned she saw it in the right engine during the walk-around. The ground crew returned to where they were preparing the aircraft and noticed paper debris on the ground. The ground crew organised for their operations area to contact the flight crew. At about 08:37, the aircraft departed. Shortly after, when on climb through flight level 150, the flight crew received a radio call from the Auckland Approach air traffic controller to contact the surface movement controller. The captain handed control of the aircraft to the first officer and contacted the surface movement controller who advised that the ground crew had lost their paperwork and it may have been placed on the engine. The captain requested further information about the paperwork, specifically whether the paper was on top of the engine or inside the inlet. The flight crew checked the engine instruments and there were no abnormal indications. The surface movement controller confirmed that the paperwork was placed within the inlet and paper debris was found on the tarmac. The captain then contacted the company engineer at the airport and asked whether it was just paperwork or a clipboard with a metal clip. The engineer advised that a piece of sheared metal had been found. The flight crew decided to return to Auckland. After landing at about 09:48, the engine was inspected by engineers and paper was found throughout the engine. They also found minor damage to an engine fan blade and attrition liner. - While preparing the aircraft for departure, the leading hand placed a clipboard in the right engine, which was subsequently ingested during start-up. - During the walk-around, the dispatcher noticed the clipboard in the right engine, but believing it would be retrieved prior to the aircraft departing, the dispatcher did not notify the leading hand or supervisor of the foreign object debris as per company procedures.